A Swedish Massage table session is designed for clients that wish to be refreshed, unwind and enjoy your time taking care of yourself. Focused on relaxation, the client can begin to feel rested! 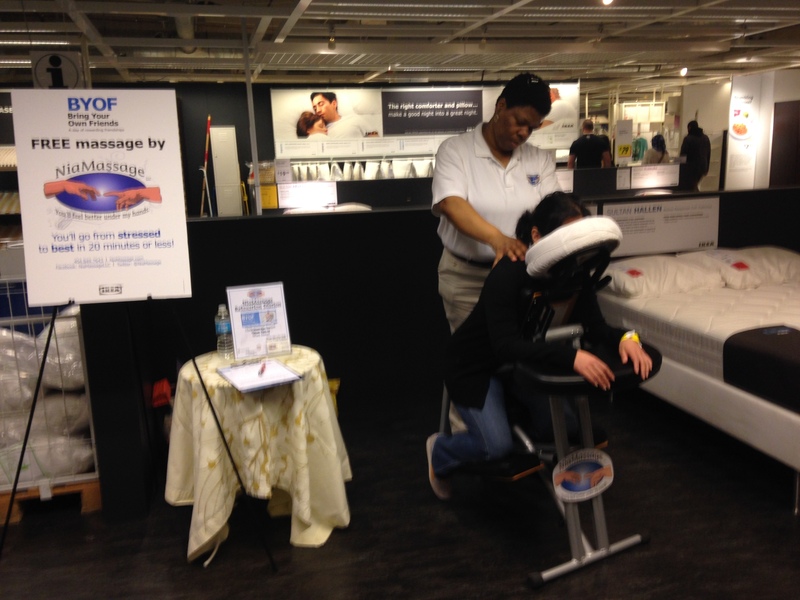 A Deep Tissue Massage table session is designed for clients that wish to work on specific issues, in a timely fashion. Focused on stress relief, the client can get back to feeling ready to go again! 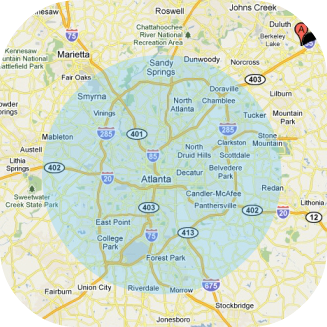 30 Minute Massage sessions are relegated to the Metro Atlanta area, pictured within the blue circle. Don’t have time to go to the spa to get a massage? 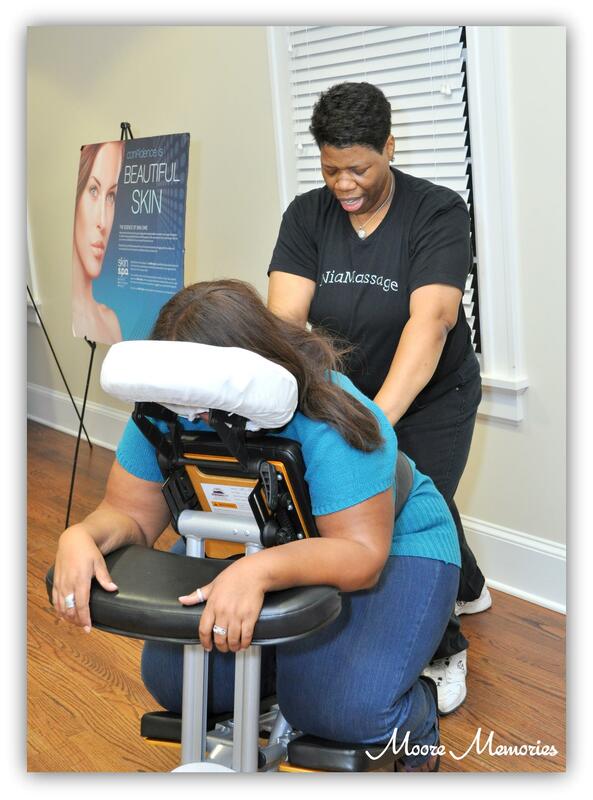 Short massage sessions at the office or your event designed to focus on your needs and the needs of your other participants, whether it be relaxation or therapeutic. Session price is per hour, per therapist. If there are multiple therapists needed, please advise ahead of time. Another way to help celebrate without having to go out! Each Participant will enjoy a relaxing chair massage or soothing foot massage. They will also receive suggested stretches, to promote self-care and receive a package of Diva’s Bathtime Tea, to relieve & energize the feet. If there are multiple therapists needed, please advise ahead of time. 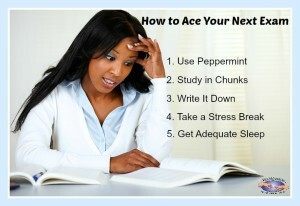 Testing time takes a toll on your brain & your grades. Get your fellow students and take a peppermint-infused chair massage study break to lower your stress and increase your concentration! Please present Student ID to get the discount. Fundraisers are a great way to raise money for your event! 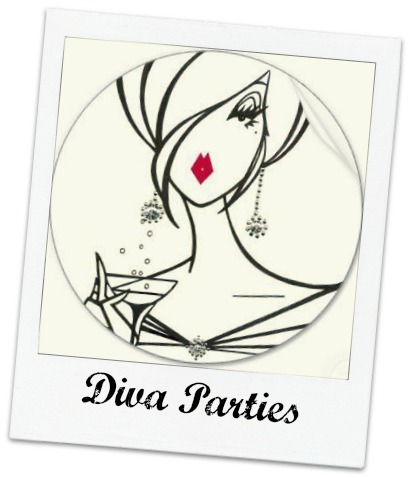 A portion of the proceeds from your event can be given to the charity of your choice. The massages that are done, the more funds get raised for your charity!